For example miningococci and gonococci. on the basis of their microscopic arrangement. Staphylococci: form grape like clusters. Salmonela, C. Tatani. B. anthrax etc. 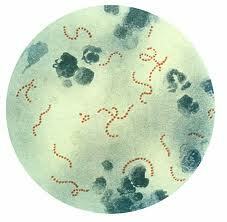 Spirochetes are spiral shaped they have flexible cell wall. for example, treponema, borrelia, laptospora etc. For example. Streptococci, Clostridium, Bacillus anthrax etc. and give pink or red color in Gram staining technique. Psychrophiles Grows best at lower temperature. absence of Oxygen for example bacteroides.